Pay Off Your Outstanding Property Taxes in Arlington in As Little As 3 Days! Can Direct Tax Loan help pay off my property taxes in Arlington TX? Any outstanding money you owe to the Arlington county tax office can be immediately paid off because Direct Tax loan works directly with the office. We can also offer a variety of payment plans. Direct Tax Loan does not ask for any out-of-pocket expenses or a down payment. 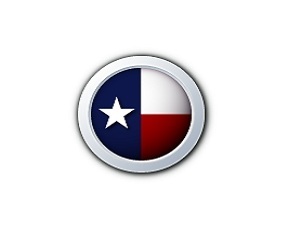 All expenses will be rolled into the property tax we offer, which will then be regulated by the State of Texas. We can then calculate a cost and interest rate that will probably be lower than what the county will charge you. How fast can I get my property tax loan in Arlington TX? 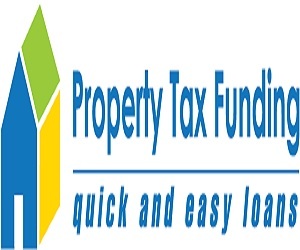 The processing and approval of your property tax loan can be completed in about 72 hours. Your Arlington property taxes can then be paid off about 7 to 10 days later. Property taxes can add up quickly. While you wait to gather the funds needed to pay them off your costs can skyrocket beyond what you initially anticipated. During your first year, your tax unit is allowed to charge an extra 47% of your delinquent taxes in penalties, fees, and interest. After that, your balance will continue to grow as much as 1% a month. What this means is that you need to pay off your property taxes as quickly as possible, and Direct Tax Loans can help you do that by financing your property taxes quickly and cheaply. If you are in need of help and are unsure of what options are available, Direct Tax Loans can assist you by finding an option that best suits your particular situation. If you do not want a property tax loan, you can try to negotiate with your tax office, which are required to offer you a payment plan. If you are over 65-year-old or disables, we can help you find a tax deferral. If you are wary of your situation and working with us, Direct Tax Loan follows all borrower protection regulations in the State of Texas. Whatever option is best for you, Direct Tax Loans can help. We can offer a property tax loan to help pay off your property taxes. Direct Tax Loan will pay your taxing unit directly, and then we will set up a payment plan to repay the loan. The lien your taxing unit placed on you will then be transferred us, which will act as security against a foreclosure if you were to default. The property tax loans offered by Direct Tax Loan also offer an advantage for you for a number of reasons. Firstly, there is no money down and there is no penalty for prepayment. This means you do not have to pay extra to get the loan, and you there is no penalty for paying off quickly. We also do not perform house inspection and background checks, so you can get your loan in less than a week. Secondly, a property tax loan prevents your taxing unit from piling on penalties, interest, or other fees. This makes it easier to pay off the loan. Everything is kept in-house at Direct Tax Loan and we offer excellent and personalized service. All payments are collected by us and we issue regular statements so you can stay on top of your finances. No other outside company will be involved, and all of your information will remain confidential to us. Working with us will get you exceptional service from our staff, who will ensure that you talk to the same person every time you call Direct Tax Loans. The representatives at Direct Tax Loan will only ever be one call away from helping you and setting up a plan for you. At Direct Tax Loans, we are aware that not everyone will have the same situation and will require a customized plan to help them. We offer payment plan that are personalized to the person approved for the loan. We will work with you to handle any additional taxes or money due beyond the original loan. Even if you already have an outstanding loan with us and you will be late on your taxes, contact us immediately. Direct Tax Loans wants to help you, even if it is just offering the kind of property tax advice you are seeking. At Direct Tax Loan, we make it simple and easy for anyone to get approved for a property tax loan. You are not required to have a high credit rating to get approved with us. We will not need to run your credit, which means a much faster processing time and a quicker loan. Your loan is secured with your property. Even if you have bad credit, that will not be an issue for us when getting you a property tax loan. Nearly 98% of all of our clients are approved for a loan even if they have bad credit. Direct Tax Loans works hard to save you as much money as possible while also providing as much property tax as possible. We do not charge you an application fee, upfront costs, or out-of-pocket expenses. A down payment is not required either. All payments and fees are included in your loan. We will also work with you find the option, of our many available options, that works best for you for free. If you want to know the exact terms of your loan a “Good Faith Estimate” can be sent to you at no additional cost. Direct Tax Loan prides itself on ensuring your loan approval process proceeds as fast as possible so that you can pay off your overdue property taxes as fast as possible. We work with the most experienced and skilled individuals in Arlington mortgage and property tax industry. This makes for fast processing times on all applications. Most loans are pre-approved within 48 hours, and reviews of a completed application/final approval will only take about 72 hours to fully complete. At Direct Tax Loan, we offer property tax loans to Arlington TX property owners with tax debts. We are committed to helping both the commercial and residential property owners make their tax payments. If you are among property owners with delinquent taxes, we are here to help you. Your delinquent taxes can and will expose you to a risk of losing your property to foreclosure. The taxing authority will sell your property to the highest bidder to cover your tax debt. It is painful to lose your house to foreclosure, which is why we promise to walk with you and help you pay your tax bill. Direct Tax Loan is a property tax lender that cares about the clients. Regardless of the value of your property, we assure you of finding the perfect loan that suits you. Also, our loans are offered at friendly rates that give you an easy time when paying it back. Apply today for free and get the ideal financial help you need to manage your property tax payments. With an A+ rating from the Better Business Bureau and a long record of satisfied customers, Texas Property Tax Loans is a great place to get the cash you need. They’ve been in the business for years and have the resources to get you out from under your debt. Their process is simple and easy, offering potential same day approval. You will not be charged any up-front costs, you’ll get your money quickly and enjoy fast closing times. While the loan is active, you’ll appreciate the convenience of making payments online, and you’ll never be charged a penalty for paying ahead of schedule. You can also manage your account online and roll your property taxes into your existing loan. If you’re considering whether it’s best to take out a property tax loan or simply pay your back taxes when you’re more financially able, call Property Tax Funding today. While avoiding a loan sounds like a good idea, it has a drastic downside in the excessive fees and interest you’ll accrue until every last cent is paid off. For an easier and faster approach which won’t leave you bogged down in fees, consider a tax loan. Property Tax Funding is a trusted lender with a long history in Arlington and throughout Texas. They offer a low rate guarantee, closing times of just days, easy qualification, flexible payment schedules and zero-down loans.